As much as I like Jack, I didn’t realize how much I needed a boys only episode until I got one. And oh, what an episode it was! Let’s skip the opening red shirt action and go right to where the heart is: home, aka the Bunker. 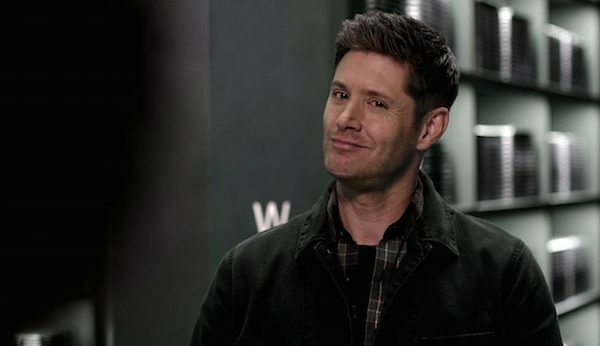 Dean is making a PB&J for breakfast, which Sam compliments as “strong work.” Sam offers Dean a beer, telling him to live a little, and I’m sorry…who is this, and what have you done with Sam Winchester? Anyway, looks like there is a case, which we know from the intro is a ghost story that left one red shirt dead. Since Jack is knee deep in Red Sonja (so to speak) Sam offers to leave him behind so that he and Dean can hunt as a duo, like the old days. 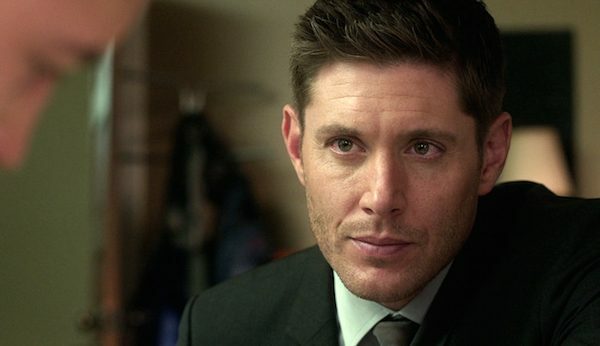 And that’s an offer Dean can’t refuse. The boys don their Fed Suits go to visit Shawn the Surviving (Red) Shirt. 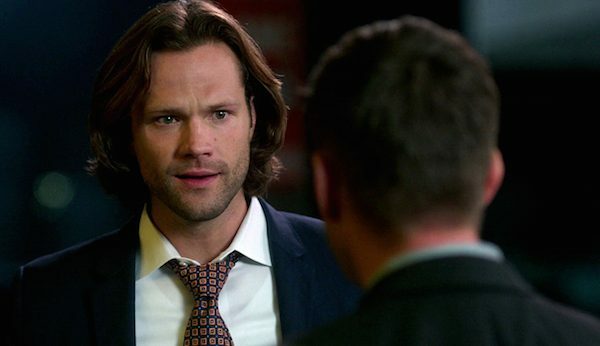 Sam offers Dean his preferred alias, Agent Page, just to “change it up” and Dean grows even more suspect. While Sam interviews Shawn’s mother, Dean goes to visit Shawn himself and he is drawing, over and over, the ghost in the plague mask. Dean tries to get Shawn to talk, telling him that monsters are scared of the Winchesters (true) but Shawn is too traumatized to speak They leave largely empty handed, but with a lead on a third friend who may know where Sean and the dead boy were when they were jumped. 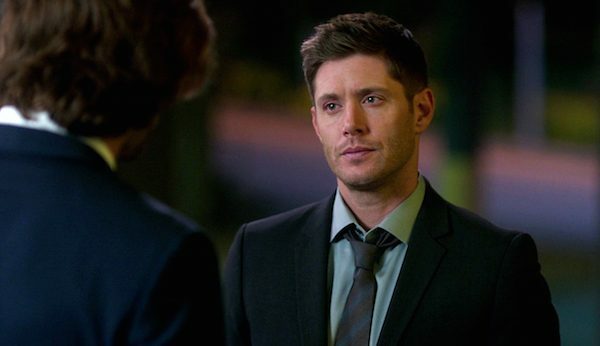 The boys head to their hotel for the evening and Sam suggests an outing that pushes Dean from suspicious to exasperated. Dean goes on to point out all the ways Sam has coddled him all day, including ordering him chili fries at lunch. 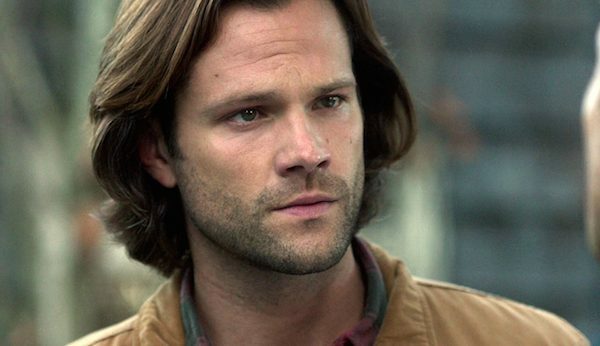 He also knows that Sam hates strip clubs, which Sam tries to deny, but it turns out that when Dean paid for a lap dance for him Sam tried to talk the girl into going to nursing school (HA!). Sam says he’s just trying to be nice, and Dean knows why. Dean protests that he’s fine, but Sam needs Dean to believe in things again. 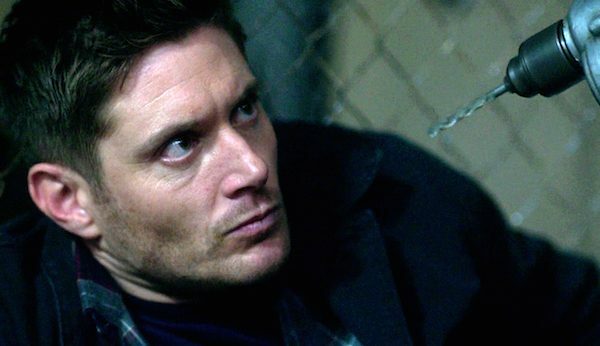 Dean insists he will fight his way back the way he always does: bullets, bacon and booze. A lot of booze. And the chemistry between Jensen Ackles and Jared Padalecki continues to be an even bigger driving force of this show than the Impala. After a scene where Shawn sees the masked ghost with the power drill again and then disappears (sorry, Shawn—I want to care, but you are interrupting my broments, man) we cut to Sam, in bed (swoon), who notices Dean’s bed hasn’t been slept in. He hears a raucous snoring and finds Dean passed out on the floor after what has been quite the naughty night—judging by the pink bra wrapped around his neck and the flogger in his hand. Sam takes Baby out to follow his lead and figures out that the red shirts went to the local haunted house, where a mad doctor named Avery Meadows used to lobotomize people and experiment on them. Break out the EMF meters, boys. You’ve got a ghost to hunt! Sam goes back to the motel to tell Dean of his findings and discovers Dean, wearing sunglasses (though he is neither blind nor a douchebag) literally piling bacon onto a plate. Sam snarks a little, but after offering Dean a breakfast beer he is forgiven. 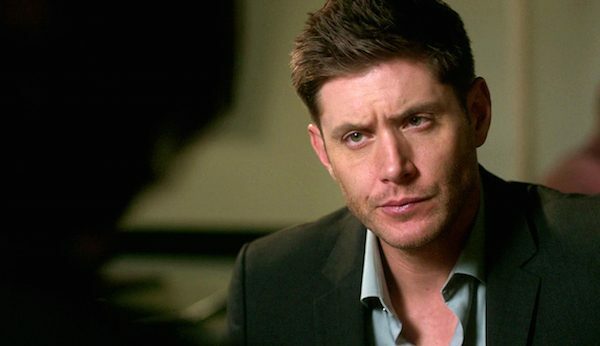 The boys discuss the possibilities of the case while Dean eats bacon, and I have to credit Jensen Ackles, as always, for his comedic prowess, especially when Dean dropped bacon out of his mouth, surreptitiously looked around the room and then picked it up and ate it. It was a literal LOL moment, and it reminded me of why I love this show this much. When they incorporate humor into the horror? That’s when Supernatural is at its best. After the boys talk to Shawn’s shaken mother (and Dean blames himself for not pushing Shawn to talk more before he disappeared) they race off to the doctor’s house to confront the ghost. 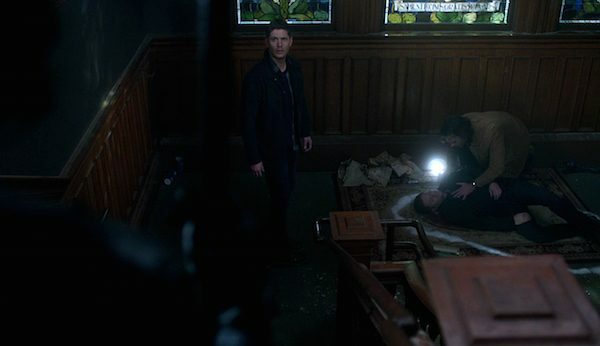 “What’s up, Doc?” Dean says when the creepy Meadows appears with his drill, and both boys go flying before Sam is able to whack him with an iron crowbar. They head upstairs and find Meadows’ mask collection. Sam salts the doorway (haven’t seen that in a bit) while Dean dumps the masks in the garbage can and douses them with lighter fluid and strikes the match. Meadows burns up and the case is solved. Or is it? On the way out, the boys see their breath in the hall and lights start exploding and objects start moving. They determine there are more ghosts that aren’t strong enough to pierce the veil. So how will they communicate with the ghosts and find their bodies to burn? Dean’s got a plan. And it involves becoming a Casper himself. Dean plunges a needled in his heart and dies, leaving Sam with the antidote in his hand, hoping this plan will work. 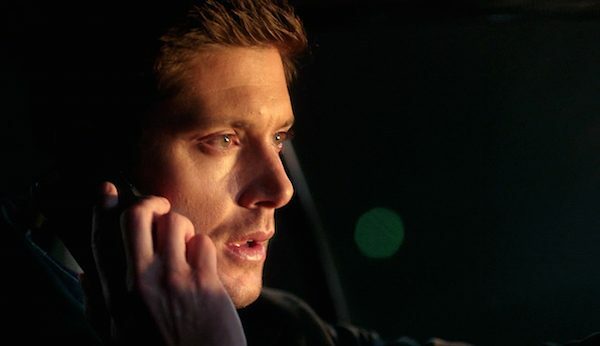 Dean sees a reaper, but brushes her off. He finds the ghosts in the veil, including Shawn, who explains that Meadows possessed him (can ghosts do that?) and brought him and his mask back to the house, where Meadows made Shawn put a drill through his brain. Dean is devastated. He wants to help Shawn and the other ghosts cross over, so he races back to his body, but he doesn’t awaken when Sam administers the shot. “Hey Dean,” he hears, and turns to see Billie the Reaper (whaaaaaat???) who tells him they need to talk. Billie tells Dean he’s changed. That he won’t work through things this time because he can’t. 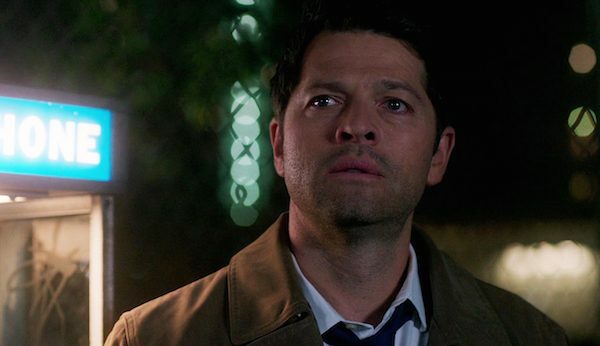 Dean tries to tell her he doesn’t matter—that he can’t save anyone anyway. And if it’s his time, it’s his time. Billie tells him all the books are about his deaths—but which one is right? None of them say he dies today. She now sees the big picture. That Sam and Dean are important and they have work to do. And that’s all he needs to know. He tries to ask about Mary but, with a huge gasp, he sits up in his body before he can get an answer, alive to fight another day. And win he shall, because as we see a montage of the boys driving, Billie reading, and the handling of Shawn’s body while Steppenwolf plays, Dean gets a call that stuns him. And the montage finishes with the Winchesters pulling up to a pay phone in an alley, where there stands a grateful Castiel. That? Was satisfying. 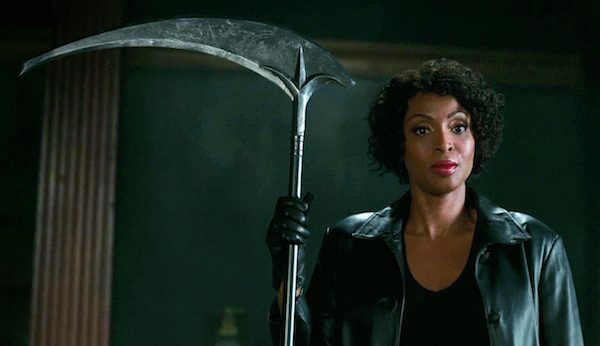 I will be content all week until it is time for episode six, “Tombstone”. See you then! 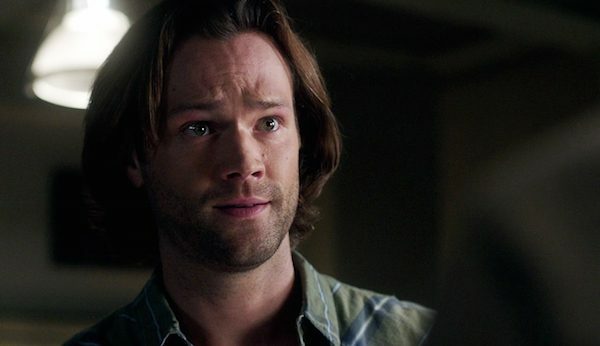 Ok…I hope Sam eventually says”what do you mean IT WORKED LAST TIME?” They kinda glossed over that.